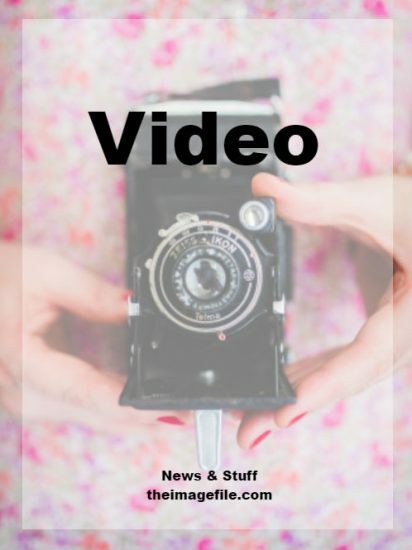 Video and film are evolved and prevalent on social media. It might seem like madness to offer this as a service. With so many people directly exposed to this medium and using it directly, they need guidance. Who better to provide it than your expert photographic studio and all-round lens professional? As a photographer it follows that you will most likely be proficient taking videos. Much like specialising in one form of photography or other, it is important to ask yourself whether you should actually offer video and how that comes across to your customer base. If you are a wedding specialist or portrait photographer, what does that mean? Are you offering to record the wedding or small clips whilst you photograph, as added value for the client? If you think training is expense, what price ignorance? Equipment: Whilst all modern cameras have a multitude of features including film, the ancillary equipment to ensure best practice and incorporate sound need to be sourced. If you are going to be shooting a wedding, sound is key (as it is to any event) and capturing those special words and speeches. If that is a requirement, you need the right equipment. Events. People are looking for guidance. Even if you are not the person to give it in film, you can still provide the forum. Use your studio to host masterclasses in film. Invite a filmmaker and sell tickets. By becoming a hub for knowledge, you are both selling yourself and creating a community around which other potential customers will gravitate. Training. Think about how to get up to speed with video to ensure you offer a first class service. If you think training is expense, what price ignorance? It’ll be a skill for life too. Go all the way. If you are going to commit to a new skill such as film, much like photography, don’t be half-hearted in your approach. Work out the approach that best suits your other offerings and make it fit your schedule. Editing. As a photographer you know that the edit is the most time-consuming aspect. Getting down to the best shots from hundreds or thousands is very time-consuming. Film editing is not so far removed and requires skill, patience and persistence. If you are desperate to include film with your product offering but do not possess the necessary time or skill, then the obvious solution would be to outsource. Like being a second to another photographer, this is a complementary arrangement and works both ways. The chance is that it will lead to work across each other’s schedules. It’ll introduce you to more people and expand your network. Choose your partners carefully however. They are an extension of your own business and how they operate reflects on you and your judgement. Do your homework but also trust your gut. You will know intrinsically the kind of characters you can work with and those that you can’t.